Unless you’ve been living on another planet for the past week, you’ve probably realised that the brand-new ‘Born’ Mercurial has taken the world by storm. Make no mistake- despite the fact we’re only just approaching the middle of February, we have absolutely no hesitancy in stating that we could well be looking at the biggest boot release of the year. But, when you consider the rich history of the Mercurial silo and the way it’s ingrained itself into some of the biggest football moments; the scale and magnitude of the new release shouldn’t really come as a surprise. The Mercurial has always been engineered for the best players on the planet, with only a select few having the necessary attributes to really pull them off. The ability to create something out of nothing, the audacity to produce a true moment of magic, and the skill to really grab a game by the scruff of its neck: these are qualities built into the DNA of just a select few. It doesn’t matter if you’re about to win the Premier League, play a quick game of five-a-side or get stuck into a Sunday League game; the Nike Mercurial is always worn by the best players on the pitch, regardless of the level you’re playing at. But this reputation hasn’t just been born out of nothing. After being shown off by some of the most iconic forwards to ever play the ‘beautiful game’, the Nike Mercurial has actually transformed into a true footballing icon itself. It all started almost 20 years ago, when a certain Brazilian striker called Ronaldo first showed off the original Mercurial boots in the France ’98 World Cup. Not only did this see the first ever goal scored in a pair of Mercurial boots, it also saw a young Brazilian hit the peak of his career as he walked away with the Best Player Award. He might have missed out on the Golden Boot to Davor Sukur (remember him? ), and we might never know what actually happened to him before that World Cup Final, but there’s simply no doubt that R9 was the greatest player on the planet at that point. No matter what you might think of him now, we can assure you he certainly wasn’t being called ‘Fat Ronaldo’ back then. With a sparkling pair of Mercurial boots on his feet, Ronaldo propelled Nike’s newest silo into becoming one of the most popular boots on the planet. The Brazilian icon was always known for his deadly finishing, silky dribbling and sheer ability to devastate the opposition, and those attributes swiftly became associated with the Mercurial, too. When you look at the players who have followed him into their own pair of Mercurial boots, it’s fair to say Ronaldo set the bar very high indeed. In fact, you could just take a look at the scoring charts for each of the past 20 seasons- most of those at the top will have been sporting their own Mercurial boots. 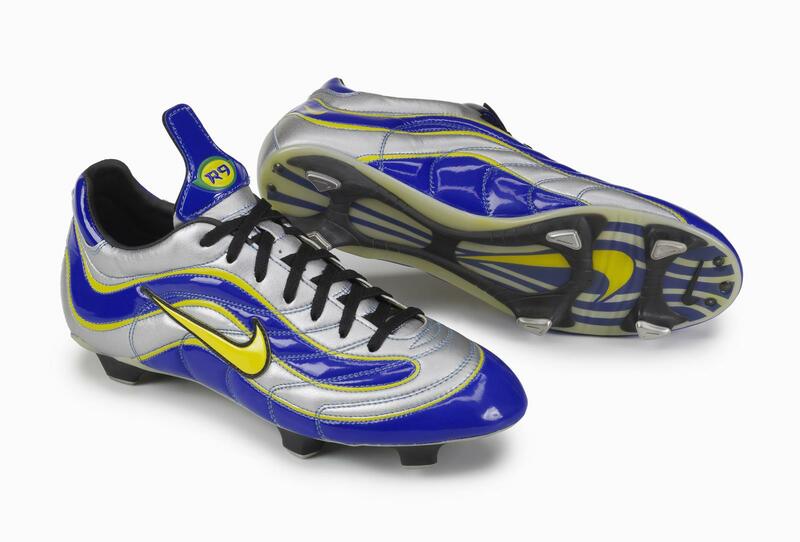 The original 1998 Mercurial boots were considered an instant classic, while the Mercurial designs that came in the following years somehow managed to build upon its high standards. Players like Ruud van Nistelrooy, Thierry Henry and Didier Drogba were all launched into stardom in a pair of Mercurials, with these three players absolutely dominating the Premier League scoring charts throughout the 00’s. The Mercurial Vapor was particularly popular in this period, with the Nike Mercurial Vapor II and III arriving just as Van Nistelrooy and Henry reached the peak of their careers. 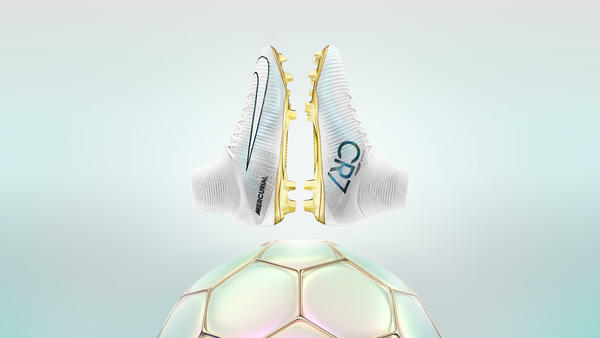 By being associated with the two best strikers in the Premier League, the Mercurial continued to enhance its seamless reputation. A certain Swede called Zlatan Ibrahimovich also burst onto the scene at the start of the 21st century, playing the game with a finesse and audacity that no other player has come close to matching since. Ibrahimovich’s love affair with the Mercurial dates all the way back to his days as an Ajax youngster, while he actually debuted the first ever Mercurial Superfly in 2008 while playing for Inter Milan. But he wasn’t the only one showing off the original Superfly design, because Inter were playing Manchester United that day and Zlatan found himself up against a Portuguese winger that was taking on the whole world. And winning. Cristiano Ronaldo and the Nike Mercurial seem to have been around for as long as fish and chips. It’s the perfect pairing, and it always has been. CR7 is undoubtedly the greatest player to ever wear the Mercurial silo (or any other boot, for that matter), never failing to show off each new design as he continues to break records and win trophies. The ‘CR7’ Mercurial collection is a fine tribute to a player that has launched the silo to a level that Nike could surely have never even dreamt of before. 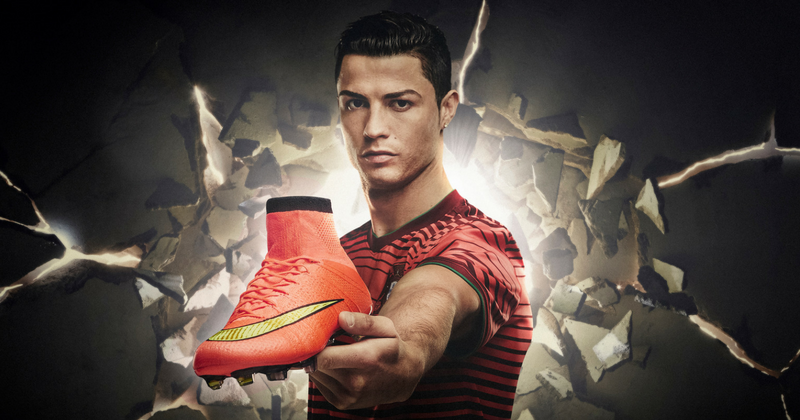 In Ronaldo, they have the perfect face for the Mercurial silo. In all honesty, the list of players goes on endlessly, and you only need to see the incredible line-up of players currently wearing the Mercurial to understand its reputation. 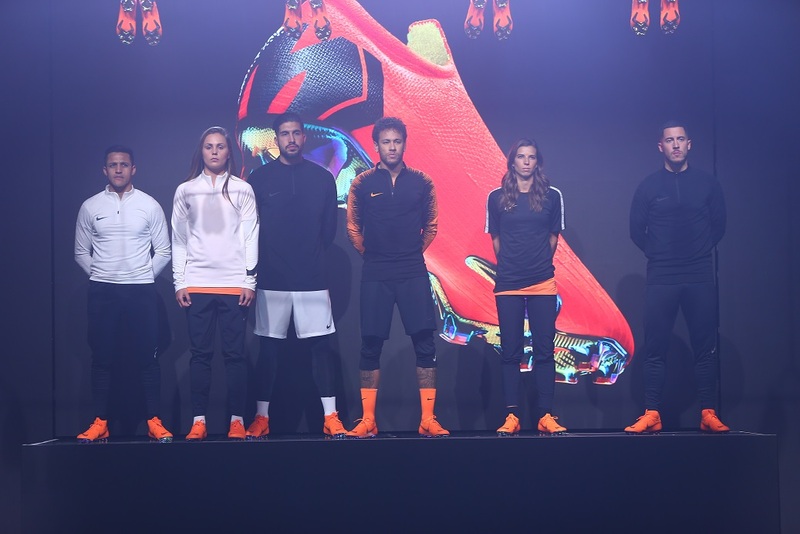 Alexis Sanchez, Eden Hazard and Neymar are just a few of the players who were present at Nike’s big unveiling last week, as they seek to etch their own names into football history. FOOTY.COM have scoured the internet to find you the best deals on all Nike Mercurial football boots, making it easier than ever for you to emulate your heroes at the lowest price possible! Compare prices with us today to bag a bargain and steal the spotlight with some extra change left in your pocket.